My favourite form of musical expression is kirtan which is a mantra-meditation and a musical prayer in one. It is a ‘call and response’ connection with the Supreme Lord through sound. 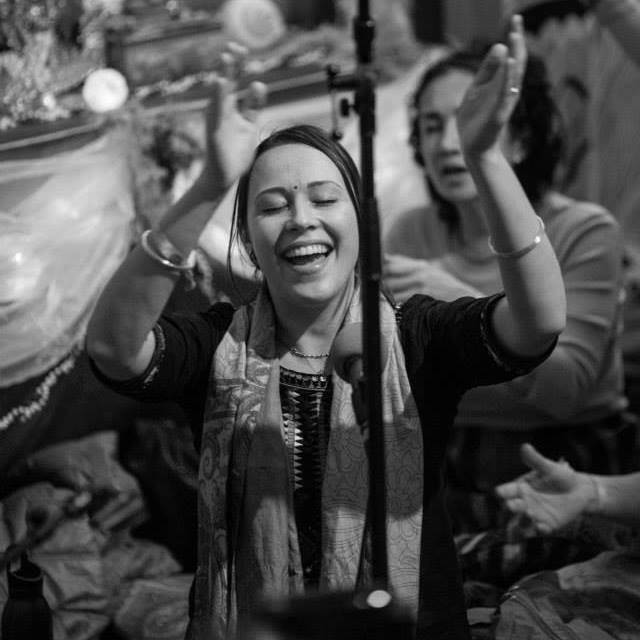 I love singing kirtan with a group of friends without any agenda or count of time. Sometimes we can go for hours, and even days and it is a truly life changing experience. I worked with Radha Krishna Records on a very special album called Inevitable Time, which was released in May 2015. It is based on the Mahabharata, the ancient epic of India. Each song of the album is an evocative musical vignette depicting selected moments from the story and sung in the original Sanskrit language. The style of music is very emotional and although it illustrates the fabled history of the mystic heroes five thousand years back, the themes and and feelings are timeless. To keep you updated I will be posting here about some upcoming events and uploading video clips and photos. I’ll also be sharing some worthwhile news about the projects I am inspired by and the talented people I respect and admire. ← It’s a great day today!